A variety of products that will help you take your article writing efforts to new heights and drive considerable traffic back to your website. When you write articles you invest two things: time and effort. Article templates make it faster and easier to write high-quality, original articles that will build on your brand, increase your exposure, and add credibility to you, your business, your website, and your brand. Ultimately, they'll help you increase traffic and sales! Increase your exposure fast by building a huge article library quickly and easily with EzineArticles' 52 interactive Article Templates on PDF! With these interactive article templates, you'll not only get hundreds of great new article ideas, but you'll also get the recommended structure for each article. 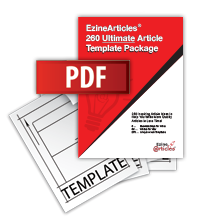 Get your EzineArticles' interactive Article Templates today to discover what the 52 Article Templates can do for you! 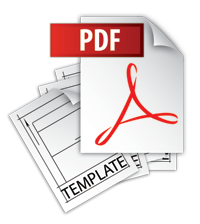 Each of these packages of 15 interactive PDF templates is designed to make it faster and easier than ever to write high-quality original articles that build your brand, increase your exposure, and add to your credibility and authority as an Expert Author. Buy just one or two packages for a quick infusion of creativity, or get them all to keep you writing for months. With the EzineArticles Premium Membership, you get faster article review speed, insider keyword data to help you write high-return new articles, and article scheduling which provides you the ability to schedule articles into the future. Need inspiration? Pick a card - any card! Get a fresh new idea for your next article, in fact at least 52 fresh ideas, with the EzineArticles Deck of Cards. Functioning like your ordinary playing cards, the EzineArticles Deck of Cards is far from ordinary. Each playing card features an original article template to help you write your next article. Take the guesswork out of writing articles and conquer some of the more challenging aspects of great article writing in less time with EzineArticles' fun and easy-to-carry Deck of Cards.